Our Marvel Day at Sea sailings are fast approaching and ready to deliver action-packed heroics on the high seas. To help you invent your own thrilling storyline, we collaborated with Disney fashion expert Leslie Kay – creator of the DisneyBound blog – to share inspiration and tips for transforming into a modern-day knight in advanced armor. There’s a whole new master of magnetism in town when your fashion is filled with the personality of Iron Man. Technically speaking, the high-tech suit of armor is not made of iron, but rather a gold titanium. You’ll be invincible in your own version, showing everyone that you always have a plan to make the world a better place. 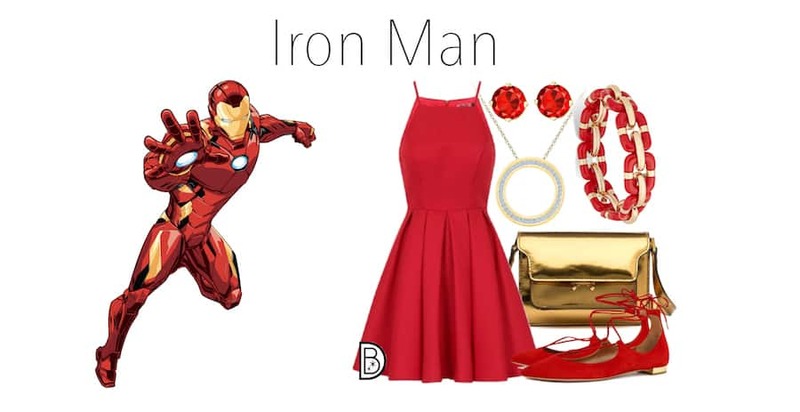 Styling tips from Leslie: The Iron Man suit is a lot of red with gold. To break up the solid wall of red, choose a dress or use a variety gold accents. Include a circular necklace or accessory to mimic his electromagnet.